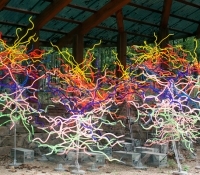 Recently, I had the opportunity to view the superior works of two art visionaries; Dale Chihuly and Stuart Davis. 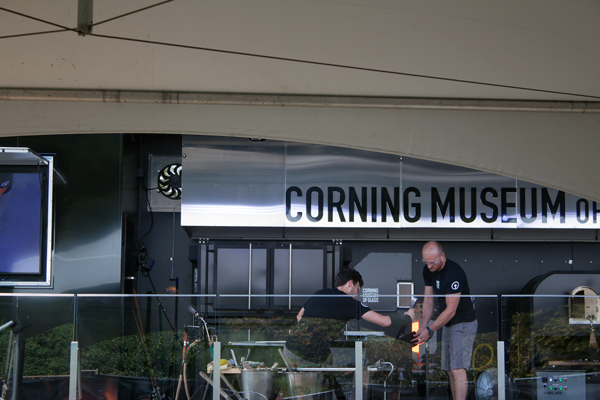 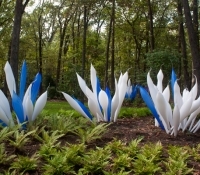 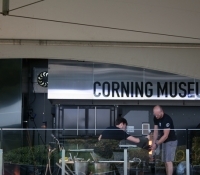 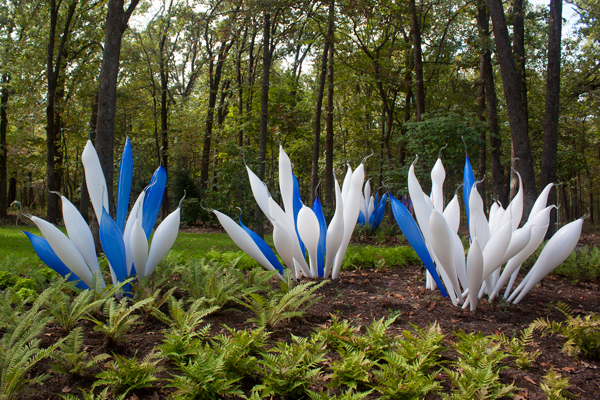 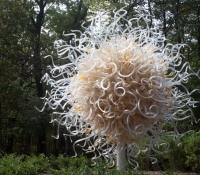 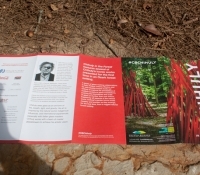 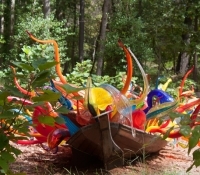 Chihuly in the Forest and Stuart Davis in Full Swing were featured at the Crystal Bridges Museum of American Art in Bentonville, Arkansas. 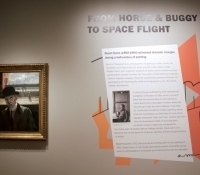 These incredible traveling exhibits were simply breathtaking. 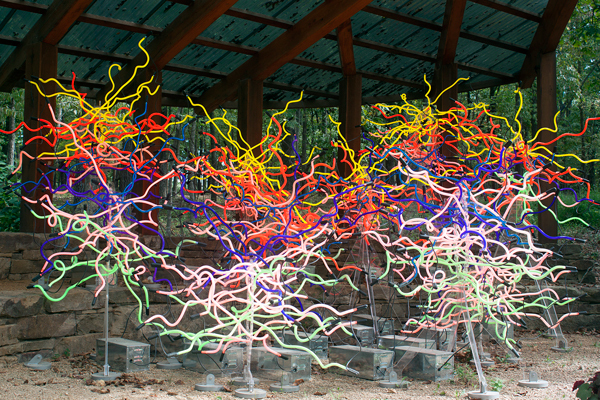 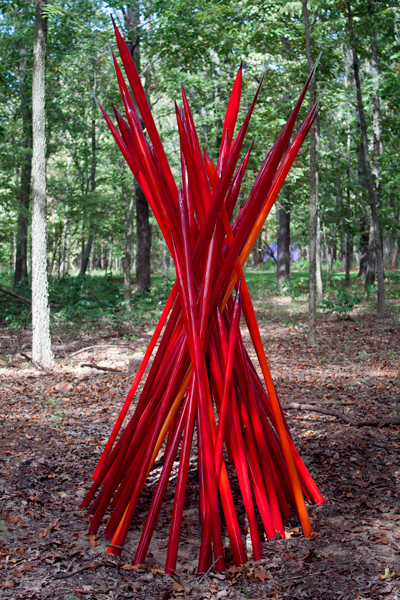 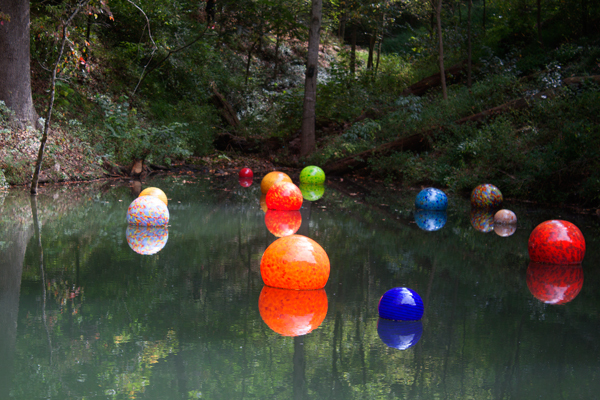 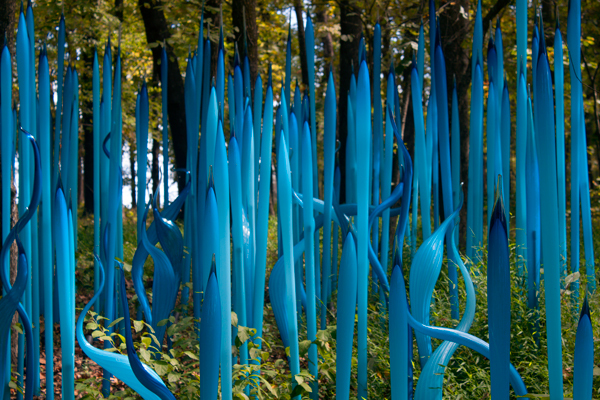 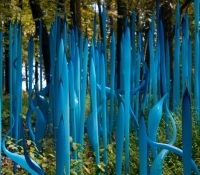 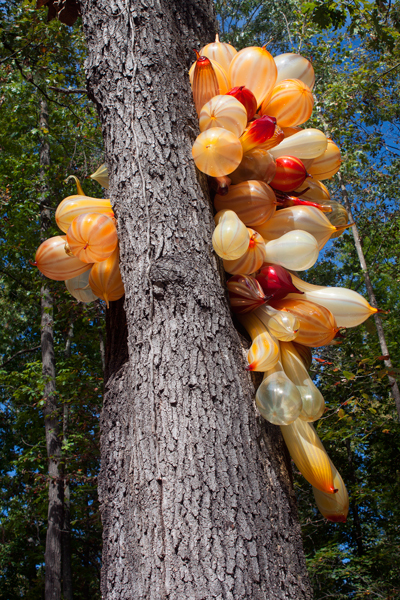 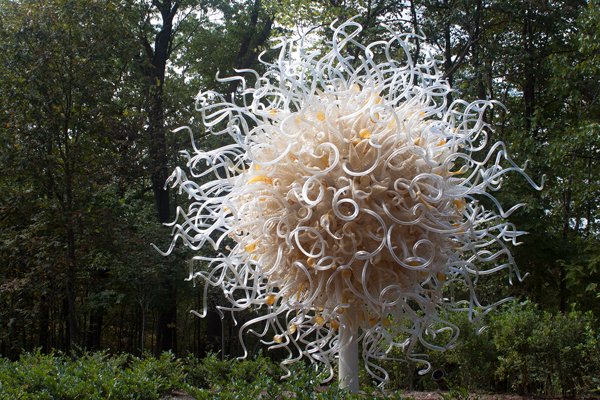 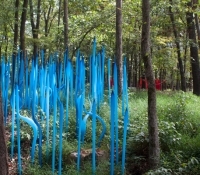 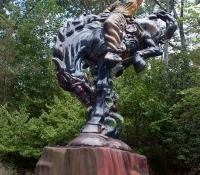 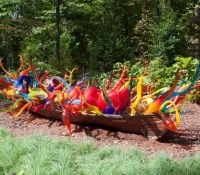 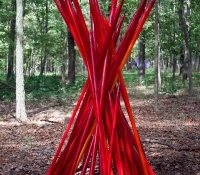 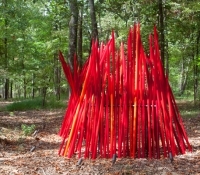 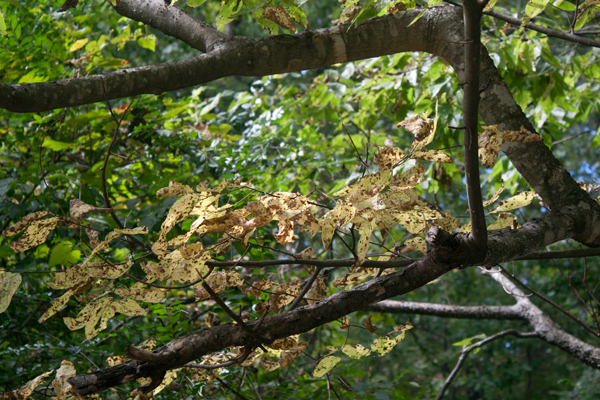 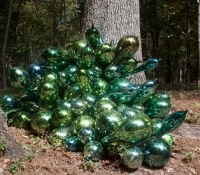 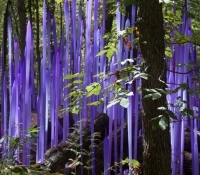 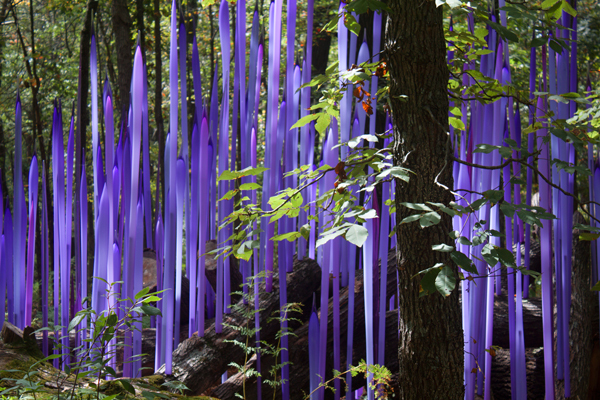 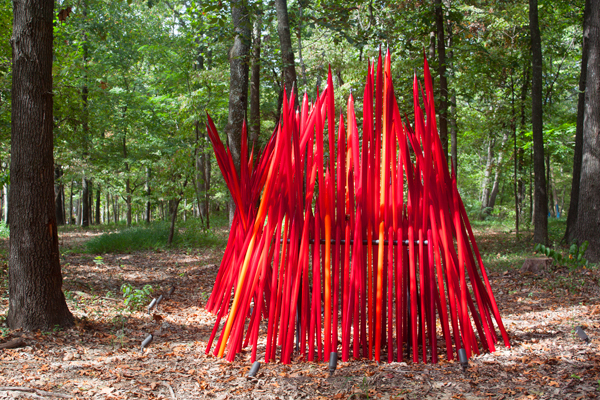 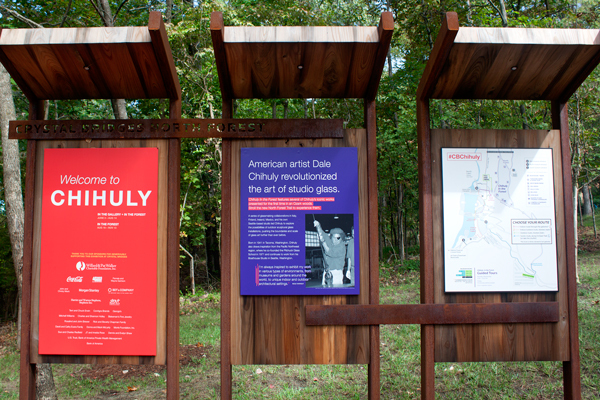 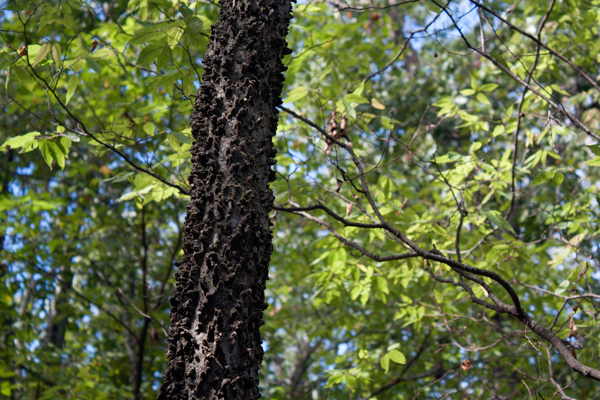 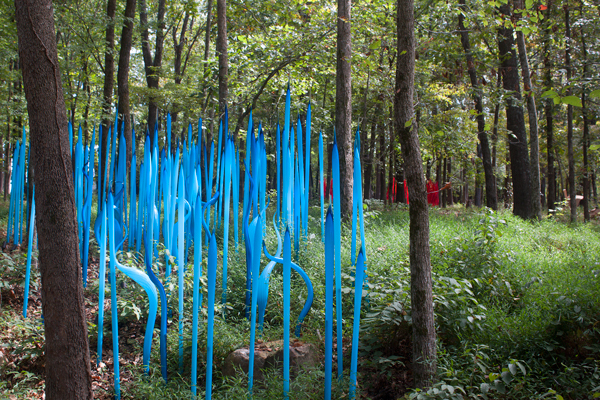 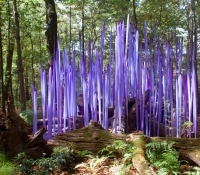 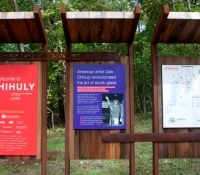 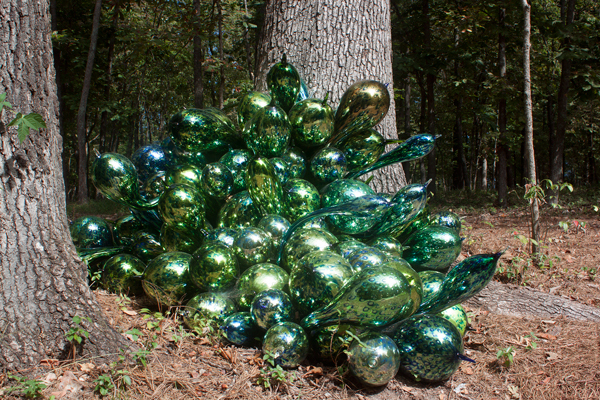 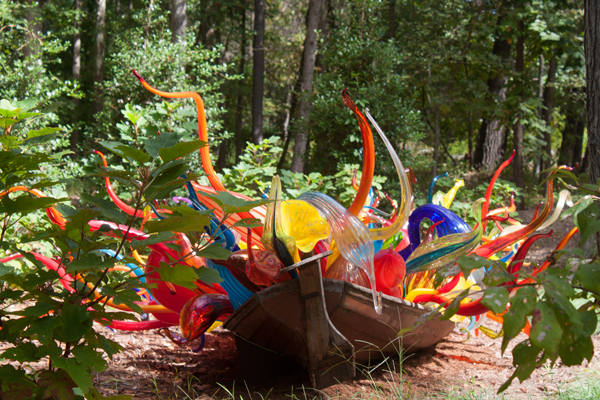 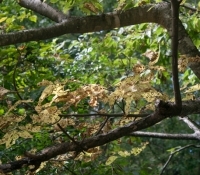 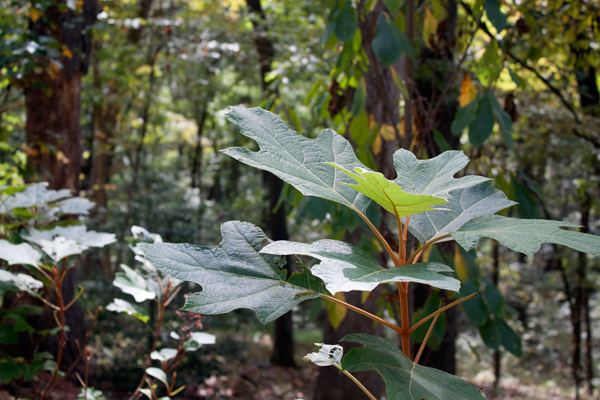 Chihuly’s iconic sculptural glass installations were displayed outside in the majestic Ozark forest along the north forest trail of the museum. 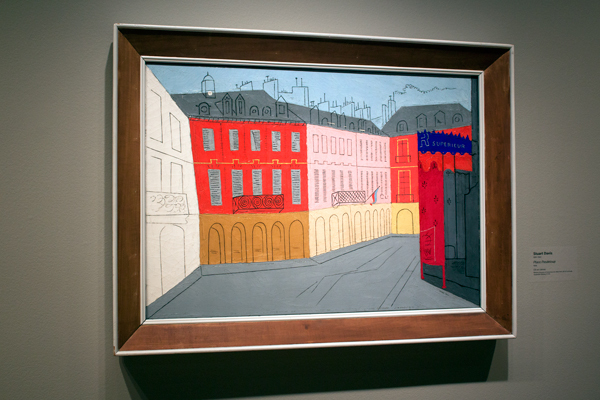 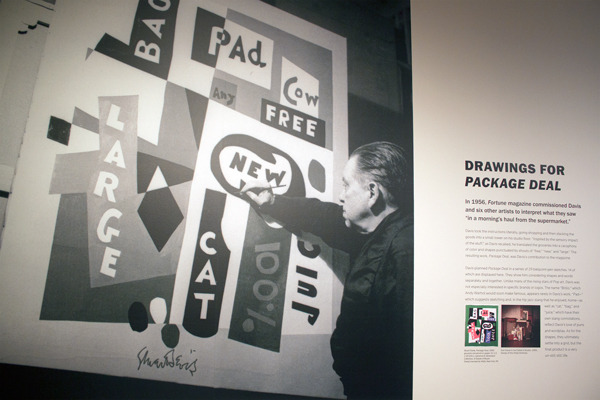 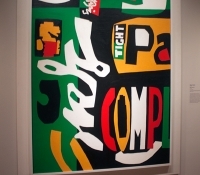 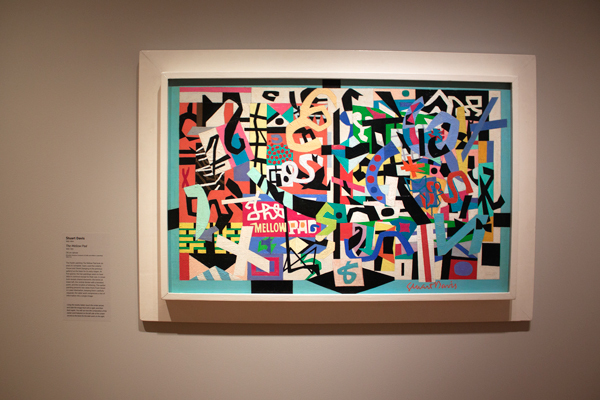 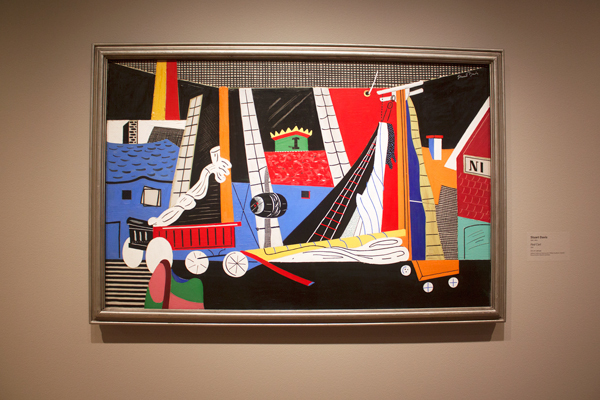 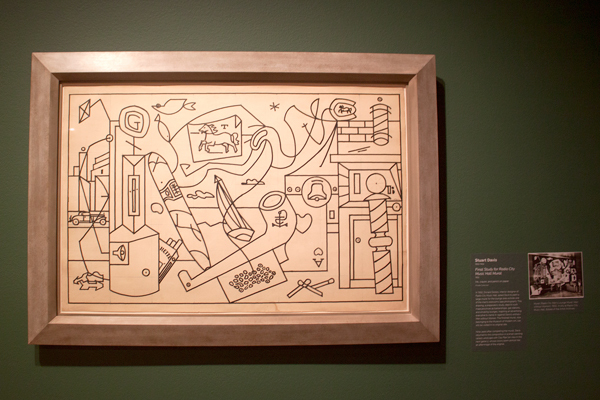 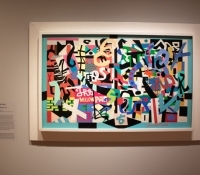 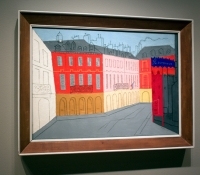 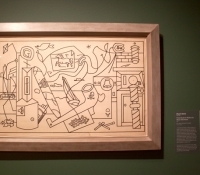 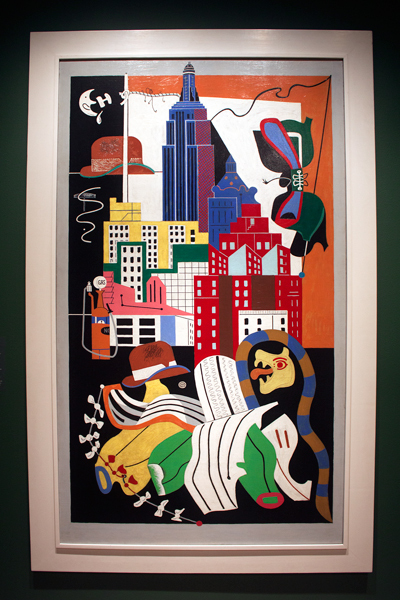 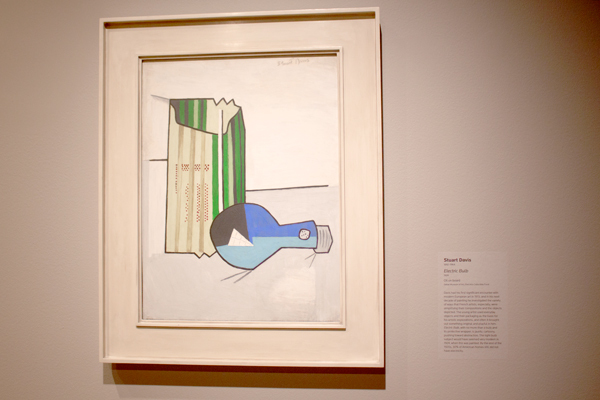 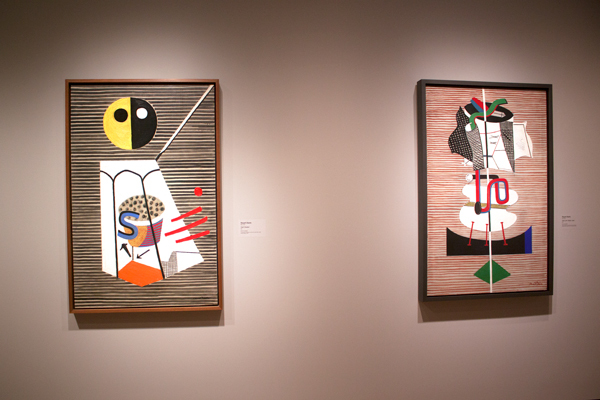 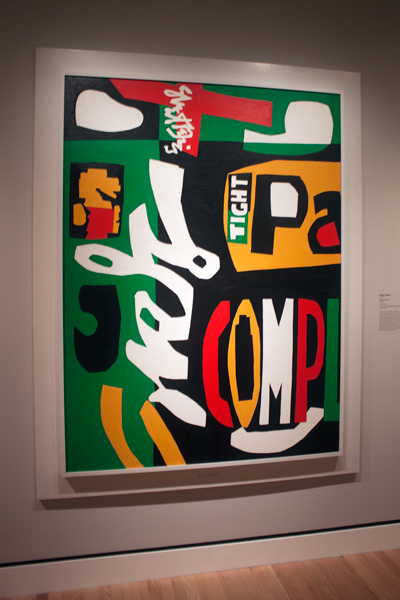 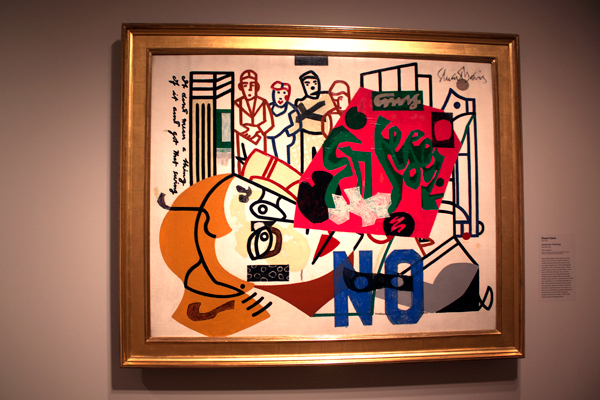 While the bold and colorful abstract imagery of Stuart Davis was humming and swinging inside the museum. 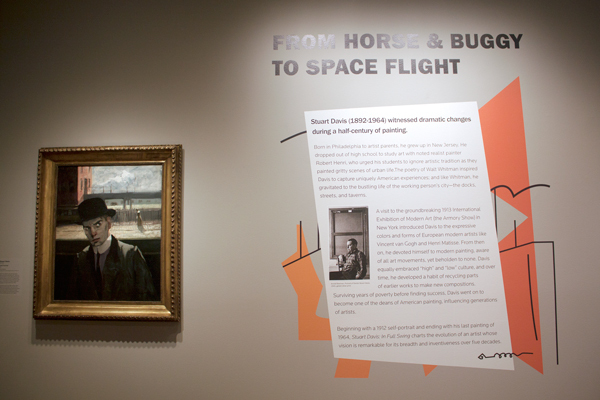 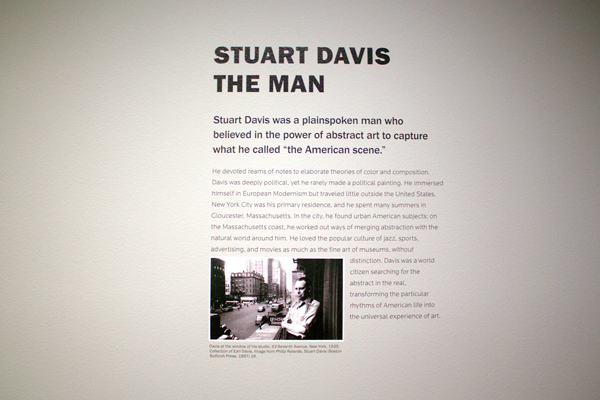 Davis’s paintings and drawings ranged from his earliest painting (1912) to his last painting upon his death (1964). 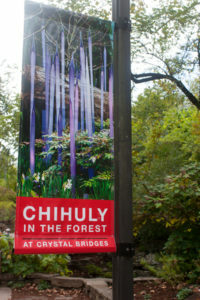 I put together a small sampling of photos that I was able to capture of Chihuly’s glass sculptures and the beautiful surrounding scenery. 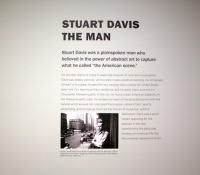 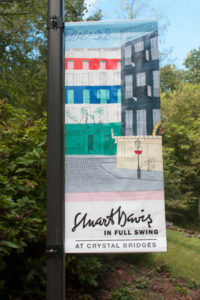 Another small sampling of photos from the Stuart Davis exhibit. 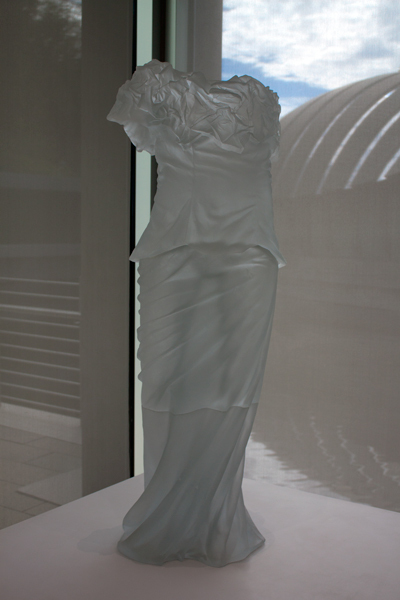 I wish the pictures would have come out better, but no flash was allowed! 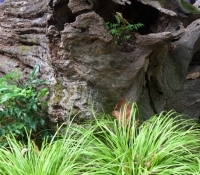 I had to take pictures quickly! 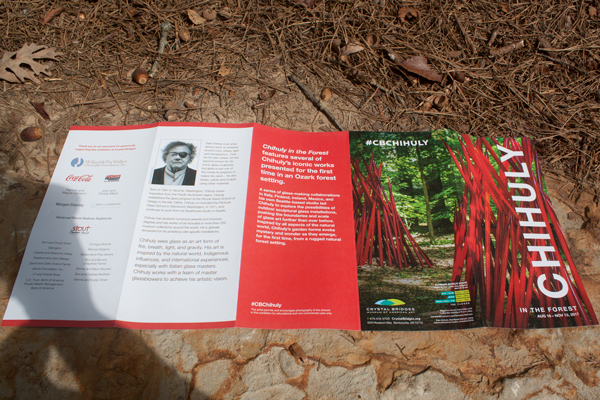 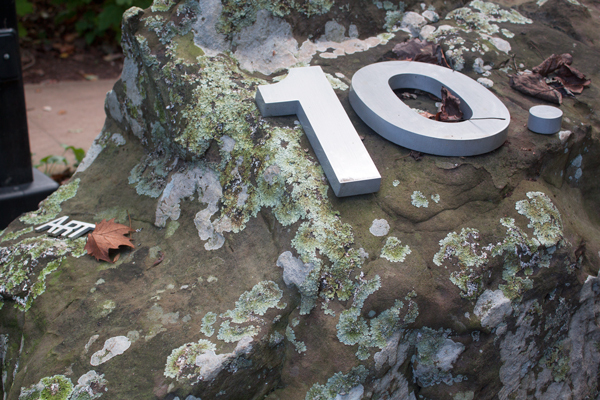 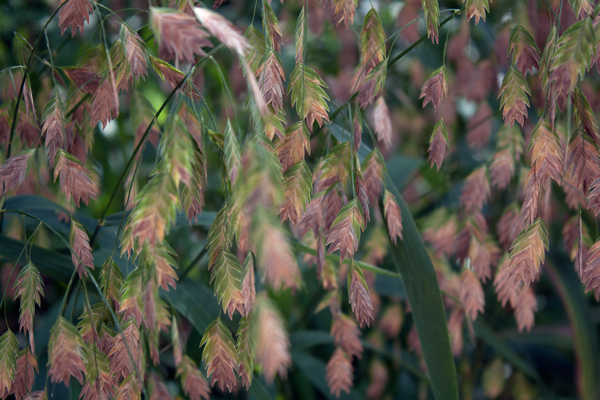 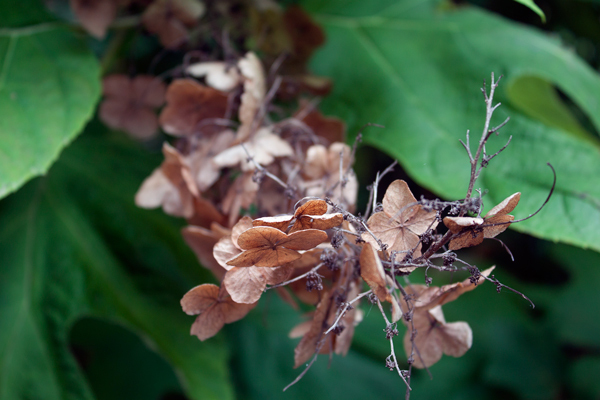 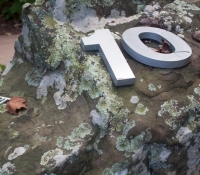 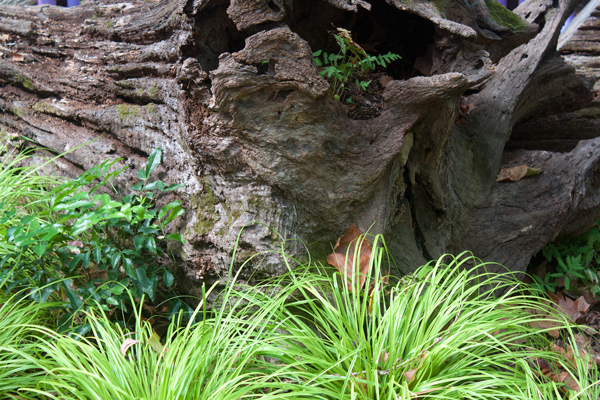 The last small sampling of the photos highlighting the beautiful museum and art trail. 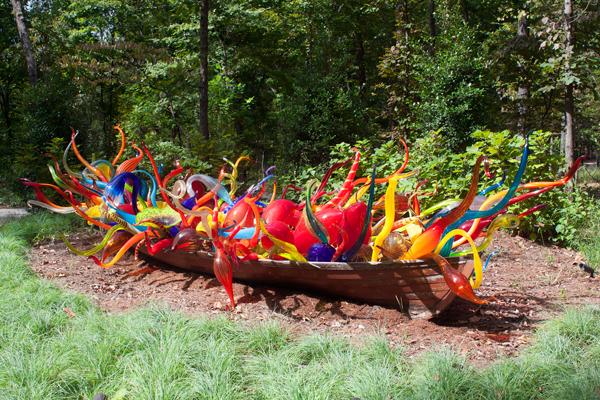 This is my second time visiting Crystal Bridges, and it never disappoints. 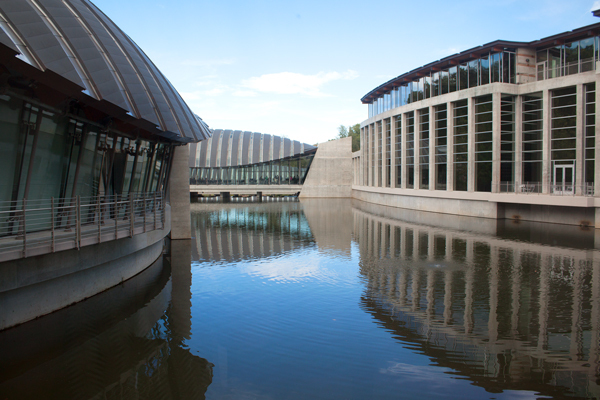 Crystal Bridges earns my highest marks for showcasing the artistic vision of these influential artists and making their works of art available to the general public. 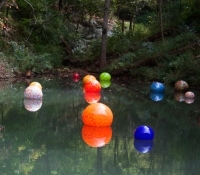 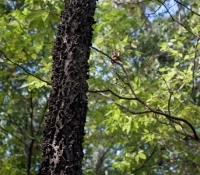 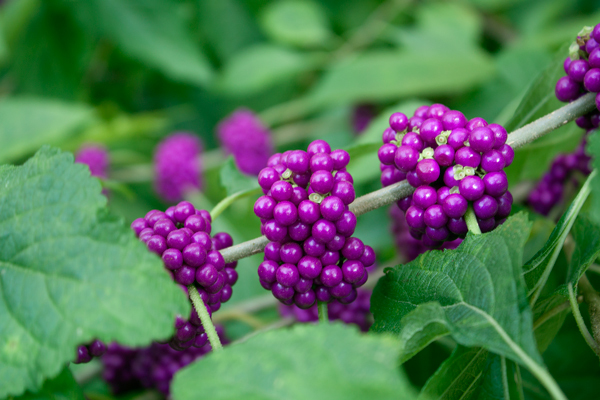 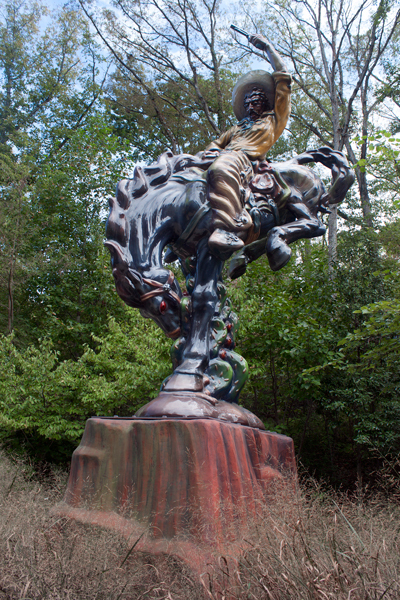 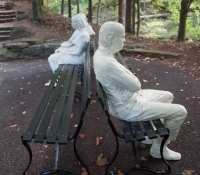 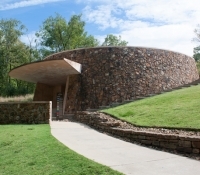 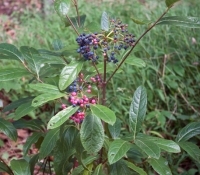 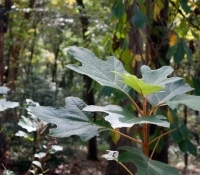 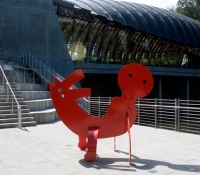 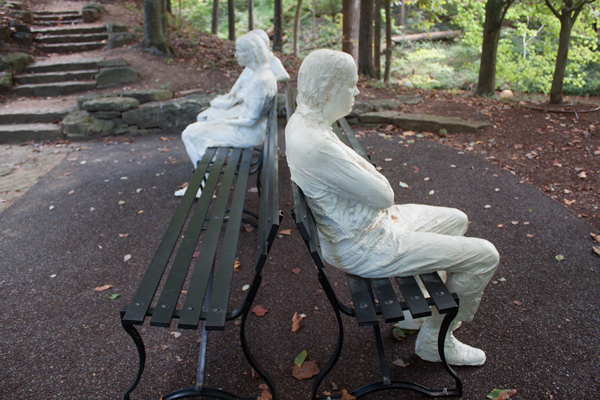 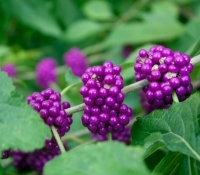 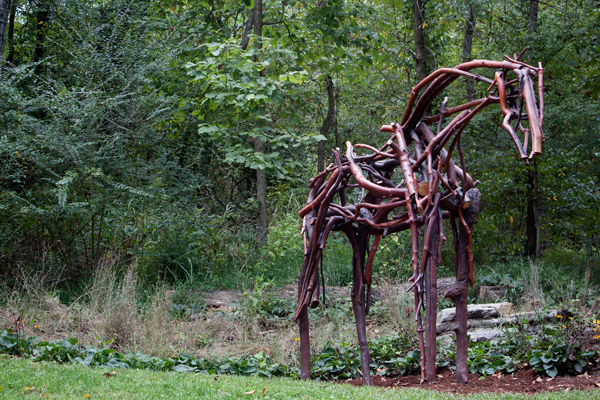 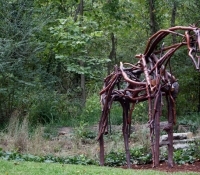 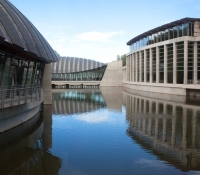 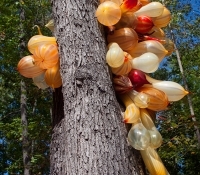 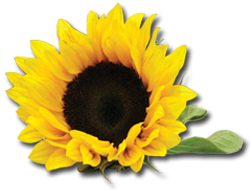 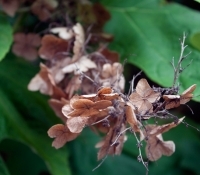 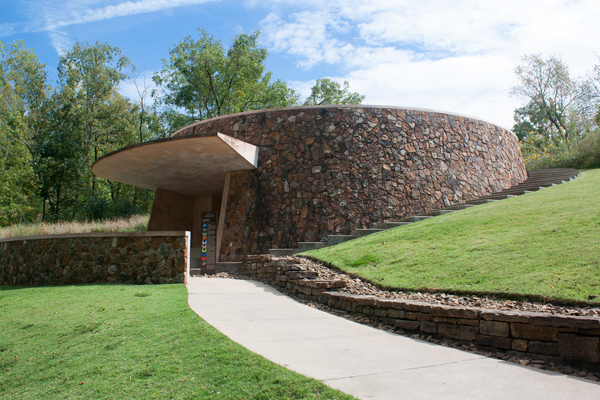 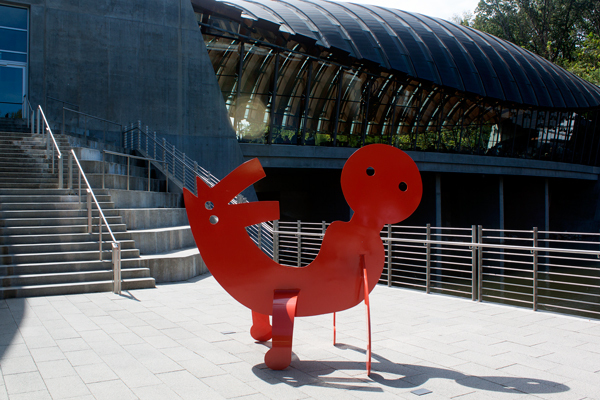 For further information about Crystal Bridges, you can visit their website at Crystal Bridges. 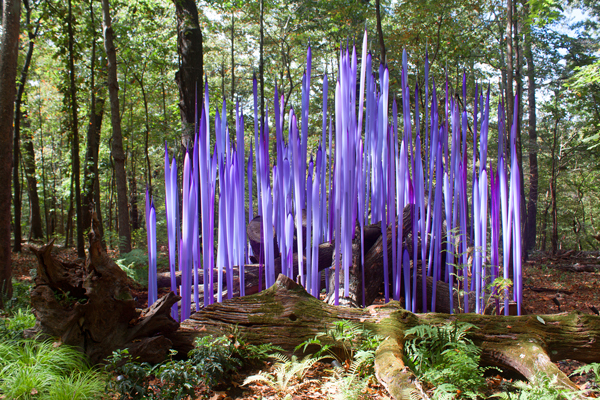 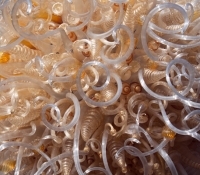 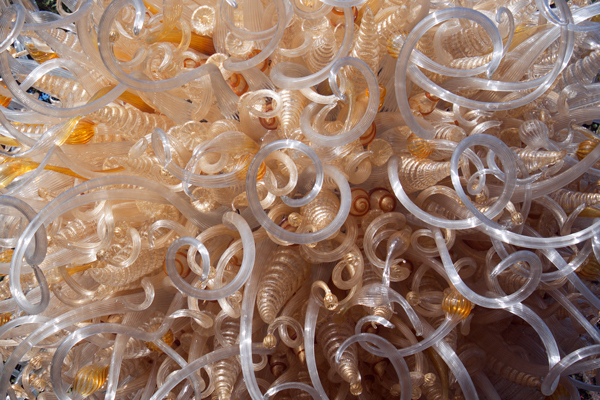 If you want to learn more about Dale Chihuly, you can visit his website at Chihuly. 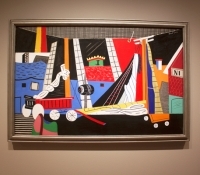 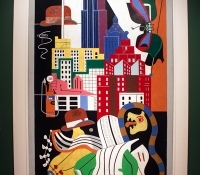 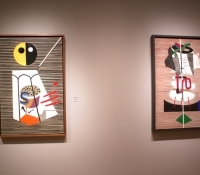 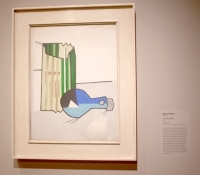 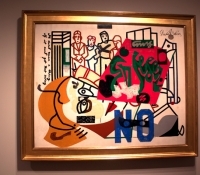 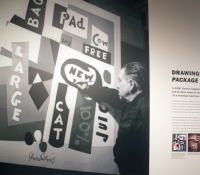 If you want to learn more about Stuart Davis, you can visit these websites, The Art Story, Modern Art Insight and Smithsonian American Art Museum.